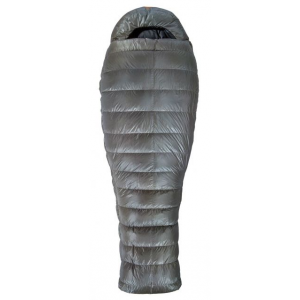 Valandre Backpacking Sleeping Bags Odin Neo Sleeping Bag-Small-Left 699010. 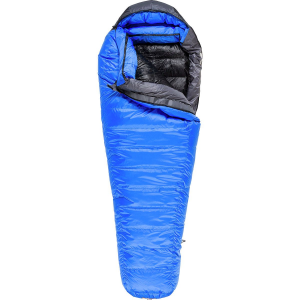 Unproven gear cannot enter adventures near limits The Odin from Valandre is the proven reference that climbers worldwide have trusted for years. The beginning, the end, and everything in between, Valandre's Expedition Odin 4-Degree Down Sleeping Bag started with the fourth summit of K2 in 1979. That being said, you know you'll get top-quality down that's practically heaven-sent (or should we say Asgard-sent'). The 850+ of the finest gray goose down preps the Odin to withstand temperatures as low as -5-degrees, and it means this bag packs down small to fit for season after season of adventures. 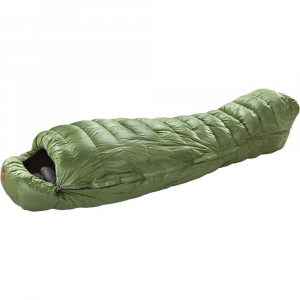 Its polyamide ripstop shell maximizes durability and minimizes weight, and the shell and the polyester ripstop lining have water-resistant features that keep water away while you sleep soundly. A static drawcord cinches the Odin's hood over your forehead tightly to optimize isolation so warmth can't escape during cold fronts. Also trapping heat is the draft collar that compensates for different lengths needed to protect your shoulders, neck, and throat so you are toasty from head to toes. 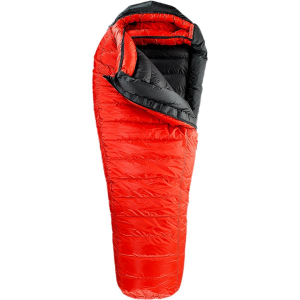 The quarter-length zipper has an interlocking draft tube to fully seal out cold weather. The Odin's side-raised compartments optimize side insulation, bringing the count to twenty-seven compartments that maximize fill fixation and operation. When pushing the limits, it is critical to have tested and proven equipment-especially in the winter! 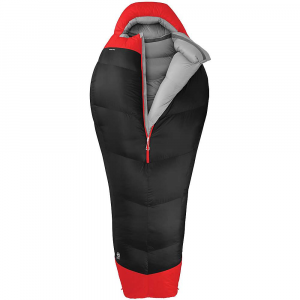 The Valandre Odin sleeping bag has been trusted by the climber world wide for years, offering plenty of volume and warmth without any unnecessary weight.This product will be shipped directly from Valandre and will leave their warehouse in 2-3 business days. Eligible for UPS ground shipping only.